Mum always brought fruit salad to summer barbecues. Bringing a four-pack of El Dorado SHIPAs is practically the same thing, right? 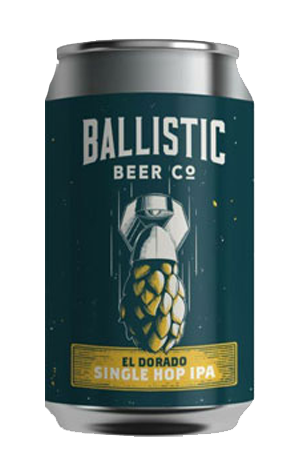 While it’s labelled as a West Coast style IPA, this one’s at the gentler end of Ballistic’s SHIPA (single hop IPA) offerings to date. It offers up pineapple and pawpaw on the nose, but the flavours tend more towards mango and bright, fresh watermelon. A low malt body gives the El Dorado more quaffability than its brothers, which works well for a summer release. If it weren’t for the steady bitterness that hangs on at the end, this boozy fruit salad could really creep up on you.